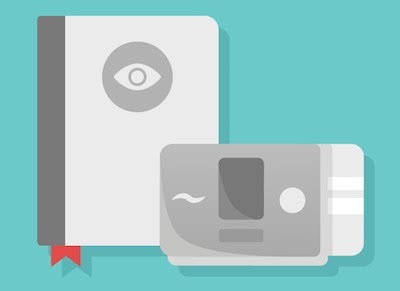 CPAP vs BiPAP Machine: Which Is Best? If you’ve been diagnosed with obstructive sleep apnea (OSA), which sleep apnea machine is best for your particular needs—CPAP or BiPAP? For most people, the answer is CPAP. CPAP therapy is the first-line therapy of choice for most cases of mild to severe sleep apnea, snoring, and upper airway resistance syndrome. Most people with apnea and sleep-disordered breathing respond well to CPAP, as long as they give themselves time to get used to the therapy. However, there are special cases where a BiPAP Machine may be a better choice. You may not have heard much about BiPAP. Some people casually lump it under the broader category of “CPAP machine” because the devices are similar and have the same end goal of treating apnea. However, there is a difference between these two forms of sleep apnea therapy. Both CPAP and BiPAP treat sleep apnea by delivering pressurized air to keep your airway from collapsing when you sleep. However, the two apnea machines have different settings and slightly different functions. CPAP and BiPAP essentially do the same job, but they aren’t interchangeable devices; which one is best for you depends on a few factors. A CPAP machine provides “continuous positive airway pressure”—a steady, gentle flow of pressurized air, at an air pressure level prescribed by your doctor. This pressurized air, delivered via tubing and a mask, keeps your airway open while you sleep. CPAP therapy is prescribed after a sleep study (polysomnogram) to confirm the presence of obstructive sleep apnea and its severity. Often, a follow-up CPAP titration sleep study is necessary to help determine which CPAP machine and mask are right for you. The technologist will test different air pressure calibrations to figure out an air pressure level that will clear your airway obstruction without disturbing your sleep. 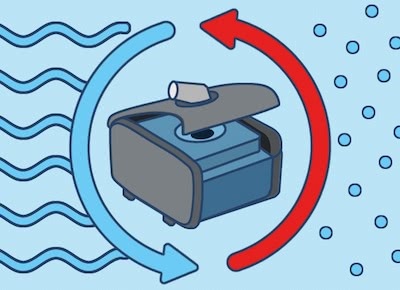 BiPAP stands for “bilevel positive airway pressure.” Bilevel means there are two levels of air pressure, instead of the single air pressure level used in CPAP machines. With BiPAP, you can have individual pressure settings: one for your inhalation (ipap), and another for your exhalation (epap). The basic principle of BiPAP is the same as CPAP: a BiPAP machine delivers pressurized air to keep your airway open. You wear a mask to sleep with BiPAP therapy, just as you would with CPAP. How it differs from CPAP is that a BiPAP machine has those two pressure settings instead of the single setting. Why Would Someone with Apnea Need Two Pressure Settings (BiPAP)? Some people do better with a heavier inhalation pressure and a lighter exhalation pressure. The higher pressure upon inhalation (ipap) may help them to clear the airway and take in enough oxygen, while the lower pressure setting for exhalation (epap) helps them to clear their lungs of carbon dioxide. Also, the lower setting for exhalation can be more comfortable for people who feel that they’re working too hard to breathe out. For some people with apnea, another advantage to BiPAP therapy is the breath timing feature. This setting can measure your optimal sleep respiration rate. If you go too long without inhaling, the BiPAP will make you inhale by increasing the air pressure temporarily. Once you start breathing at a normal rate again, this setting automatically reverts to the previous air pressure level. 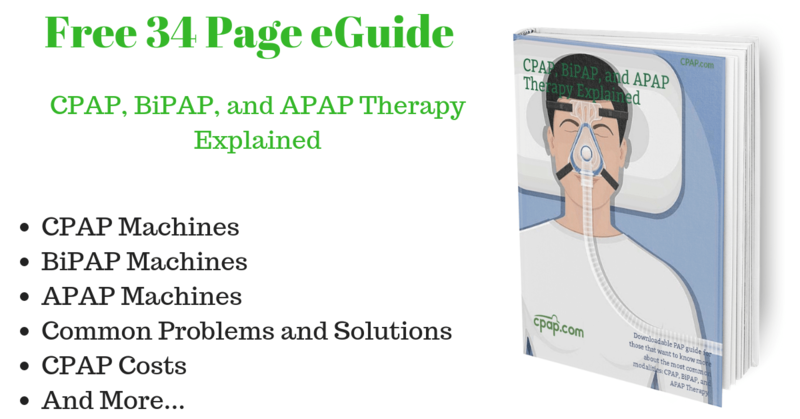 When Is BiPAP a Better Apnea Treatment Option Than CPAP? If you require higher CPAP pressures. If you have low oxygen levels and your sleep specialist has determined that you require higher CPAP air pressure to treat your apnea effectively, you may benefit from BiPAP. Many people who need higher air pressure prefer the comfort of BiPAP, with its lower expiratory pressure. Exhaling against a high air pressure can feel like a struggle and may make it harder for you to fall asleep or stay asleep. If you have obesity hypoventilation syndrome (OHS). This form of sleep-disordered breathing tends to affect people with a high BMI. You may breathe too shallowly or slowly during sleep, which can lead to respiratory depression (hypoventilation) and a high level of carbon dioxide (CO2) in your bloodstream. A dangerous condition called hypoxia can develop, sometimes resulting in heart failure or respiratory failure. However, for people with OHS, BiPAP, with its restrictive component, can be better than CPAP because of its ventilatory effect. The higher inspiratory pressure and the lower expiratory pressure can help you to get sufficient oxygen while expelling CO2. If you have COPD/Overlap Syndrome. If you have both sleep apnea and chronic obstructive pulmonary disease (COPD), you may have what’s termed “overlap syndrome.” This means you experience double the impact of having either a pulmonary issue alone. You don’t have a correct gas exchange of CO2 and oxygen in your bloodstream when you’re awake, thanks to the COPD; but your body never gets a chance to correct this imbalance when you’re asleep, either. Your breathing problems last around the clock, leading to a number of potentially serious health complications. However, by using BiPAP, you may be able to improve the work of breathing when you’re asleep. With its higher inspiratory pressure and lower expiratory pressure, BiPAP can help rebalance the blood oxygen and CO2 levels when you sleep. Whether you’d benefit more from BiPAP or CPAP is a decision your doctor makes, based on your sleep test results and medical condition. If you have questions about BiPAP and CPAP, ask your sleep medicine physician. It’s important that you understand the specific benefits of the sleep apnea therapy that your doctor recommends for you. Although BiPAP has its place in the treatment of sleep apnea, in most cases it’s an alternative to CPAP or a specialized choice based on your specific health profile. CPAP is still the gold standard for treating OSA, snoring, and Upper Airway Resistance Syndrome (UARS). It remains the most effective treatment for apnea and has been shown in studies to help lower blood pressure, dramatically reducing the risk of death from cardiovascular disease or stroke. 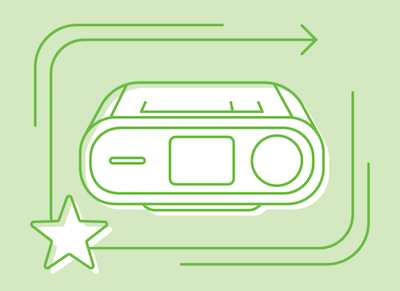 CPAP may be the gold standard, but that doesn’t mean it’s the right choice for every person with apnea. Your specific needs are unique. If you have COPD, Overlap Syndrome, or Obesity Hypoventilation Syndrome, you may actually benefit more from the dual air pressure of a BiPAP. Likewise, if you require high CPAP air pressure to treat your apnea, exhaling may be uncomfortable unless you switch to a BiPAP machine. After your CPAP titration study, your doctor will have a better understanding of how much air pressure you need to treat your apnea to the level required to keep you healthy. After viewing these study results, your doctor may recommend you use a BiPAP machine instead. Don’t be alarmed if this is the case. 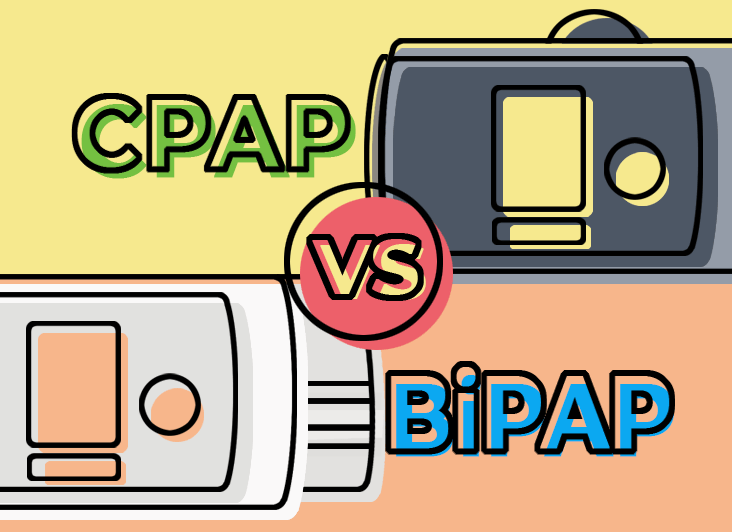 Remember, which machine you use, BiPAP vs. CPAP matters less than how often you use it. Complying with your therapy is the most important part of getting and staying healthy. If you’ve been prescribed a CPAP but you can’t wear your apnea mask and find yourself tearing it off in the night, the treatment isn’t helping you at all. Be honest with your doctor and your sleep technologists (and most of all, yourself). If exhaling with CPAP is difficult, maybe you need an adjustment in air pressure or a new CPAP mask. Or maybe BiPAP is a better choice for you. 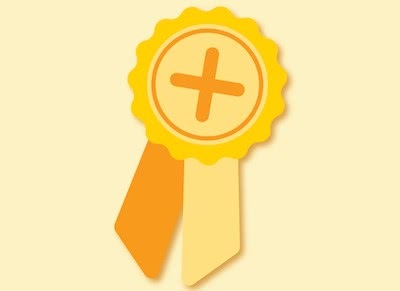 Remember: the most effective treatment for your sleep apnea is the one you use faithfully.